President Cyril Ramaphosa has condemned violence against foreigners in South Africa and has called on law enforcement agencies to act against those who commit xenophobic crimes. 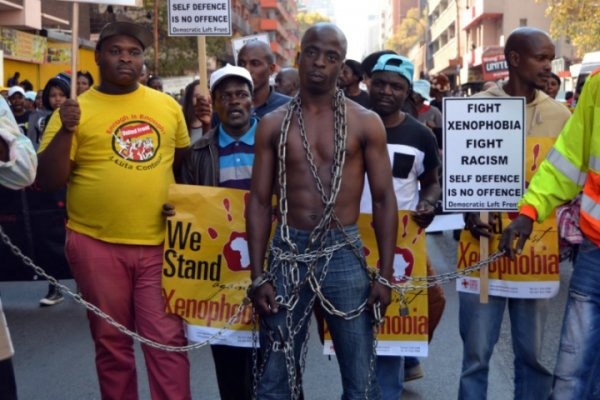 KwaZulu-Natal has once again emerged as a hotspot for xenophobic violence, after two people were killed in violence last week, News24 reported. Last Tuesday, local residents raided the homes of some foreign nationals, forcing them to seek refuge at nearby police stations and mosques. "As South Africans, we owe our freedom to the solidarity and support given to our liberation struggle by people across our continent and around the world," Ramaphosa said in a brief statement. The comments come on the heels of a recent speech in which the president appeared to threaten foreigners who run businesses in the informal sector. "Everybody just arrives in our townships and rural areas and set up businesses without licences and permits. We are going to bring this to an end," Ramaphosa said in speech on the election trail. Ramaphosa also denounced the attacks while speaking at a private dinner hosted by the ANC in KwaZulu-Natal on Friday, saying they were wrong. "They [attacks] violate everything that our people fought for over many decades [and] I condemn them in the strongest terms," said the president. Cabinet ministers Lindiwe Sisulu and Bheki Cele on Monday led an engagement with heads of diplomatic missions to work out how to better integrate communities in South Africa. Following the meeting, Sisulu said the attacks on foreign nationals were "pure criminality". Sisulu said she had "very good interactions" with the ambassadors and have worked out a "plan to deal with the matter" decisively. "This is pure criminality, and we expressed that view to our foreign diplomats, whom agree that something should be done immediately." She added that the "ambassadors spoke very passionately on the matter", saying they would meet on Friday again to finalise a plan of action. "We want to ensure everyone that we are doing everything to keep everyone safe," the minister said. Sisulu said that she had been told that some protesters were planning to burn trucks in Mooiriver in KwaZulu-Natal, but understands that law enforcement officials are keeping an eye on the situation. Luwellyn Landers, Sisulu's deputy, offered a more nuanced opinion on the attacks. "If you ask me, it started off as criminality, and ended as xenophobic," said Landers, while answering a question from News24 about why government was quick to label the attacks as "pure criminality", instead of xenophobic. Sisulu said Namibia's ambassador to South Africa, Veiccoh Nghiwete, told her that much of what was being shared on social media was not true, and did not represent what was really happening in the country. She said people should be wary of what was being spread as truth. The Democratic Republic of Congo's ambassador to South Africa, Bene M'poko, said that it should not be that "we are stuck with the definitions, but we should move forward to address the matter". "If politicians say something inciting some violence, they should be dealt with by their parties," said M'poko. "This is a diplomatic call, [and] on Friday the group will be bigger, so that we find solutions to this issue recurring almost every year," said the ambassador. In 2008, 62 people were killed when deadly violence swept the country. Spaza shop owners faced mob attacks by gangs wielding pangas. Some people were necklaced – killed by having a burning tyre place around their necks. Archbishop Emeritus Desmond Tutu apologised on behalf of South Africans saying: "Those who have been victims, we want to tell them we are sorry and we will not repeat this," News24 reported at the time. Xenowatch statistics published by NGO Sonke Gender Justice said that there have been 66 deaths and 116 assaults blamed on xenophobia since 2015. The organisation says that, over the same period, 11 140 people were displaced as a result of attacks and that, in many cases, perpetrators made no attempt to rob victims. The South African Police Service's official crime statistics does not specifically highlight xenophobia. The Presidency on Monday tweeted the hashtag #WeAreAfrica, which had three retweets as of Monday morning. Ramaphosa indicated that the government was determined to fight any incident of xenophobia. "Today, our economy and society benefits from our extensive trade and investment relations with partners on our continent and many of our continental compatriots live in South Africa where they are making important contributions to the development of our country. "African development depends on the increased movement of people, goods and services between different countries for all of us to benefit. We will not allow criminals to set back these processes," said the president.